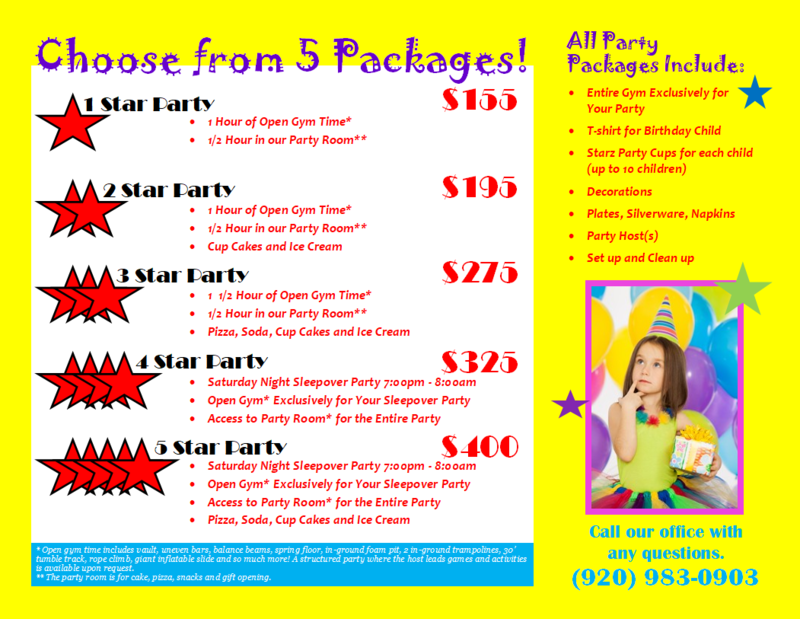 Celebrate your Child's Birthday with Style! Starz Birthday Parties are 1 ½ hours of fun! That includes an hour in the gym reserved exclusively for your child and 10 of their friends followed by 30 minutes in the birthday party room. Don’t worry about the mess because we also do the clean up! 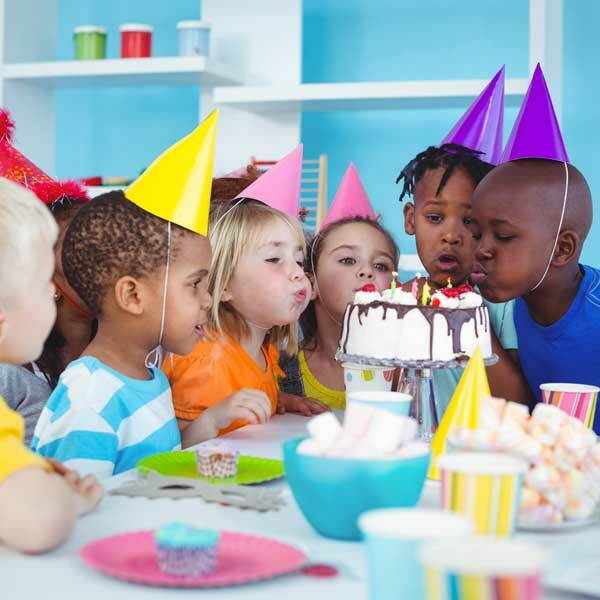 Our equipment for birthday parties includes an 18′ inflatable slide, 30′ tumble trampoline strip, two in-ground trampolines, cubed foam pit, climbing rope, balance beams, uneven bars, balls, jump ropes, mats and hula hoops. 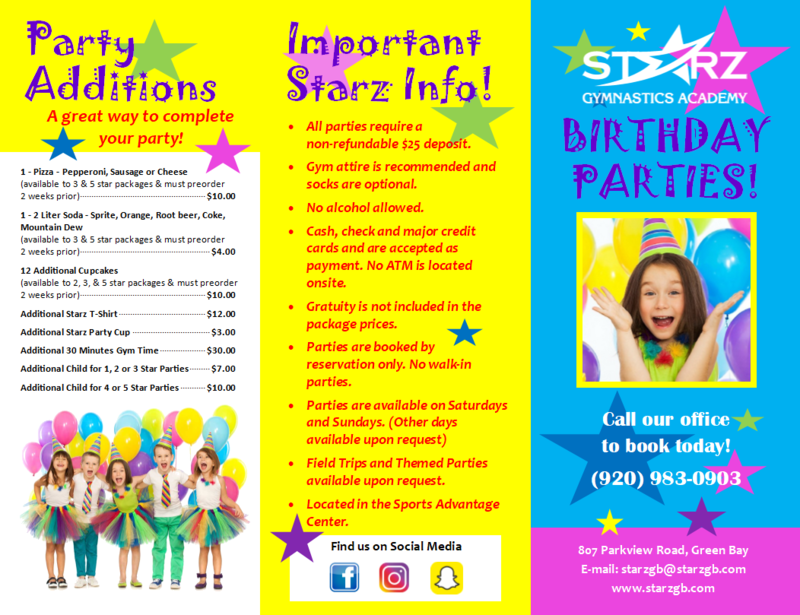 Call for more information about additional guests, extra time available, and our overnight/lock-in birthday party option. 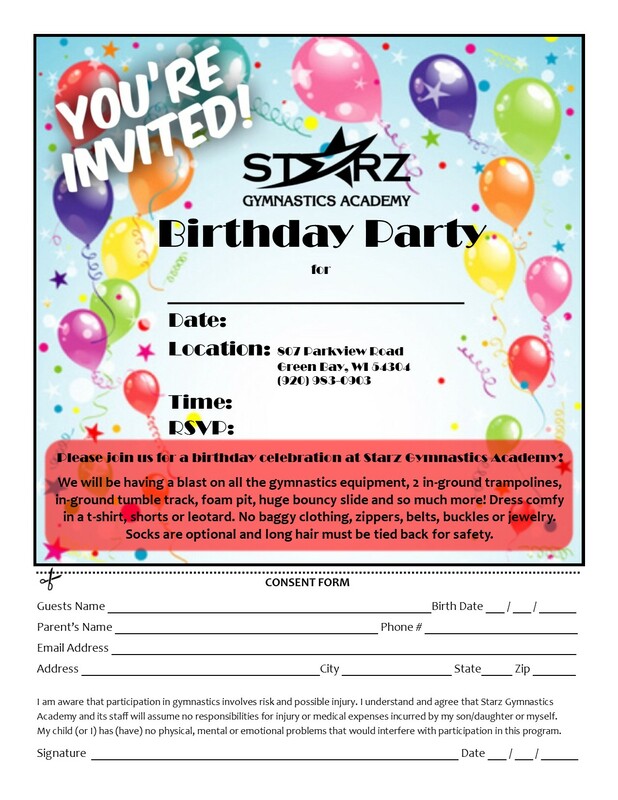 Contact Starz Academy to Reserve Your Party Day and Time! 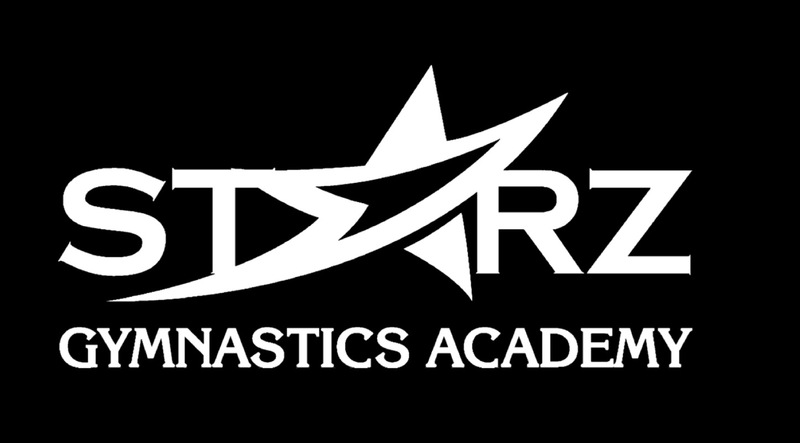 11:00-12:30 p.m. / 1:00-2:30 p.m. / 3:00-4:30 p.m. / 5:00-6:30 p.m.
Price: Call for details. Member discounts available. No adult participation (18 or older). A non-refundable $25 deposit is required to reserve your spot. Any balance is due the day of the party. Free invitations may be printed from the website. Waivers must be returned for admittance. Arrive 15 minutes before your party. 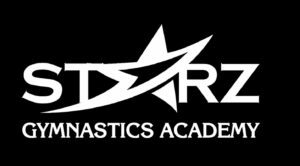 Wear t-shirt and shorts, leotard or warm-ups. No belts, buckles, zippers, jewelry, baggy clothing or shoes. Please tie long hair back. Bring whatever you would like for the party room – food, drink, decorations, utensils, etc. Full-size refrigerator/freezer available for use.